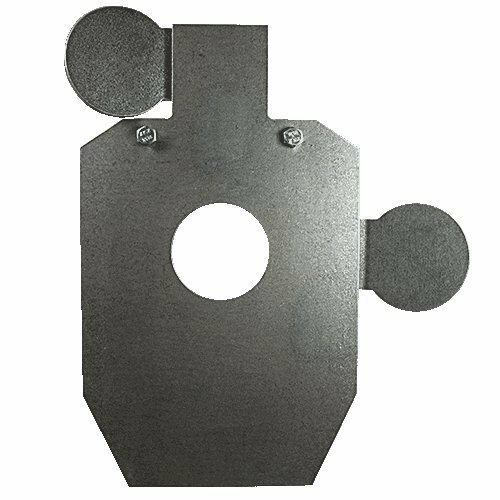 AR500-Targets 3/8'' 2/3 HOSTAGE HEAD AND CHEST by CleanCutMetal at Freedom from Government. MPN: 144. Hurry! Limited time offer. Offer valid only while supplies last. AR500 Hostage head and chest target comes in 3/8" AR500 and takes 30.06, .308, .556 at 100 yards or 2900 FPS at impact. Resetting paddles will let you continue to shoot while they reset when struck. Solid AR500 paddles, no weld so no weak points. Can be mounted on a 2x4 Post Kit which is used in our Multi purpose base. 2x4 post kit & Base not included. NOT designed for other manufacturers post kits, single hole post kits do not work. If you have any questions about this product by CleanCutMetal, contact us by completing and submitting the form below. If you are looking for a specif part number, please include it with your message.